June 2016 marked a record production month for ROUSH CleanTech. With all the Blue Bird propane school bus sales, we worked around the clock to meet customer demand. OAK HARBOR – People utilizing county public transportation could soon be taking their quick trips in a brand new ride. I’m not one for judging a book by its cover, but sometimes it’s the best policy. Nestlé Waters North America adds 155 medium-duty propane trucks. Lee County’s shuttle service for people with disabilities is getting greener while also slashing its fuel costs. In late 2015 the ROUSH CleanTech and Blue Bird sales teams conducted a propane product training seminar for the North Central Bus & Equipment sales team. Immediately, Paul Fiereck, Denny Knutson and Chris Wirz, with the help of Brian Raygor (a propane supplier), hit the road presenting the benefits and savings of using propane to power school buses. The result was truly astonishing. Today, Paul is a huge propane autogas promoter who uses the tools available to him from Blue Bird and ROUSH CleanTech to sell more buses. He’s found that scheduling technician training for school districts during the sales process significantly helps the district to integrate propane buses into their fleet even easier. When the districts’ technicians are on board, they act as great advocates for the new fuel because of the simplicity of the system compared to diesel. Telling a technician that their regen issues can be completely eliminated is like music to their ears – and propane offers that. 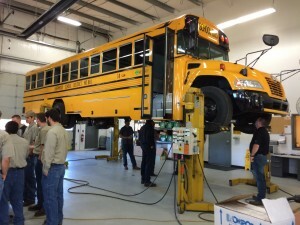 Through the demo program available, the North Central team brought buses directly to school districts and put them up on hoists to give them a more in-depth look at the propane fuel system. They are often accompanied by propane providers and ROUSH CleanTech, Blue Bird representatives on sales calls. Selling propane autogas fueled units are now an integral part of Denny, Paul and Chris’ presentations. Minnesota is primed for a major shift to propane autogas! ROUSH CleanTech’s new regional training is off to a great start. In May, team members from our field operations team traveled to Western Bus Sales in Boring, Oregon. But, we couldn’t pull this off by ourselves. Both Mollie Blagg, president of Western Bus Sales, and her team were vital to the success of this two-day program. From the outset of planning, Mollie coordinated all of the agenda items with our training coordinator Lance Shuttle. Western Bus Sales is no stranger to hosting these types of events, as they have held service training for its customers for years. The difference this time was the more extensive two-day agenda that would attract folks from across the region. With the agenda and date set, Western Bus Sales reached out to their propane customers to invite them to training. They sent email blasts and posted details of the event on the company’s website. Customer-service representatives followed up by reminding customers of the event during phone calls. 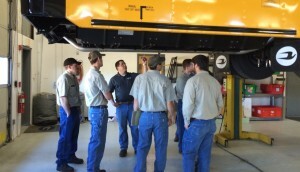 The first day of training was mostly Western Bus Sales’ staff, including field service techs, external service techs, other Blue Bird dealer techs, fleet account techs, and folks from two school bus providers. The company is located in the northwest corner of the state, so people traveled quite a distance to attend training. The agenda focused on warranty and other areas that school district customers don’t necessarily need to know. The technicians were excited about the training. They have been working on propane buses for some time, but hadn’t had the chance to talk face to face with ROUSH CleanTech and Ford experts. The second day focused on fleet service training. This customer group had a mix of people — with some having operated propane buses for years, others who have just started operating, and some who are about to get propane buses. It was a great turnout of 21 attendees from 15 school districts. At the end of the day, all of the attendees shared their experiences with propane buses, which helped to solidify their choice to go with propane. All in all, the training was a huge success and Mollie is hopeful it will lead to more propane buses sales. For a schedule of upcoming regional training, click here, or call 800.59.ROUSH for more information. What do you get when you purchase a propane bus from our competitor? Nothing! Just ask Colorado/West Equipment’s Jeff Koza who came through for the Boulder Valley School District when it purchased IC propane buses that never showed up. Last year, the school district purchased 10 propane buses from IC Bus. After waiting, and waiting, the district has yet to receive them (it’s been 13 months and counting). When the red flags began flying, they turned to Jeff to find a solution. While the school district was rewriting the bid, Jeff suggested help from ROUSH CleanTech and Blue Bird by offering plant tours, on-site visits and . Meeting the Blue Bird and ROUSH CleanTech manufacturer reps, the district staffers were reassured that they would not only get a great solution, they’d actually get propane buses on their lot. This meeting encouraged the school district to change the language of its bid and, ultimately, went with Blue Bird propane-powered buses. Now, the district plans to purchase 17 buses each year for the next 5 years. 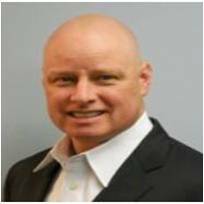 We want to congratulate Colorado/West Equipment’s Jeff Koza on his commitment to the customer and to propane. He was able to secure an order from a customer who had previously ordered from a competitor, and to show why Blue Bird offers the best propane fuel system in the bus industry.